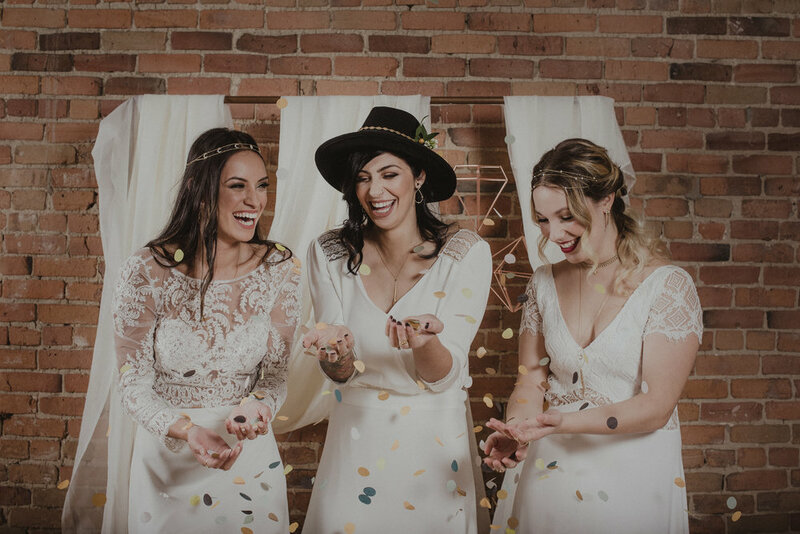 Our goal is to build a community of industry leaders and to promote Montreal as a non-traditional and off-beat destination for weddings by staying away from the crowded alleys of the conventional wedding expos. Festival Coeur Bohème brings together top vendors under one rood, providing an unforgettable experience to inspire and entertain. It is the perfect outlet for creative couples and brides-to-be to gain inspiration from unique vendors in the planning of their wedding day. Our objective is to offer you an awesome day with your fiancé, family and friends, while discovering amazing inspiration from our creative vendors, and to walk away feeling totally re-inspired for your wedding day! Festival Coeur Bohème officially launched in November 2016 with its first edition of the festival that took place on Sunday, March 19th 2017 at La Gare Viger.